Ductless A/C is a flexible air conditioning solution allowing you to cool nearly any space without the need to run traditional ductwork. Ductless can be a great solution when you want a complete climate control over a specific (zoned) area of the home, or if you live in an older house where adding ductwork would be a challenge. One outdoor unit can power up to nine indoor units, with only a thin pipe running to each one. If you’ve been looking for a way to add central air but didn’t think a traditional system would work, ductless A/C may be the cooling solution you’ve been searching for in your home. Installation – Whether you’re installing in a new home or upgrading an older system to a ductless model we can help. Give us a call, and we’ll send out an expert ASAP to make our recommendations for installation. Repair – Although ductless A/C systems are quite durable, problems can crop up from time to time. If this happens, we’re here for you. Give us a call and let us get your system back up and running quickly. Maintenance – By maintaining your system on a regular basis, you’ll keep it running smoothly and efficiently, saving money and avoiding many potential costly repairs. 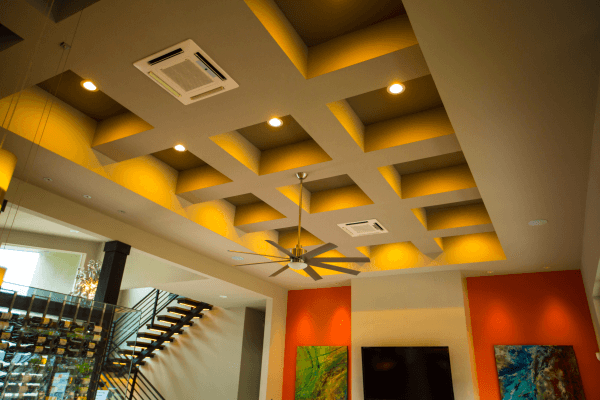 Sometimes referred to as “mini splits,” ductless A/C is an alternative to the traditional ductwork-reliant residential and commercial cooling technology. Ductless units provide a cost-effective solution for homes where the use of a traditional A/C unit would be unattractive or unworkable. If you have one of these units in place, there may come a time that you require ductless mini split repair. We hope you’ll contact us at Cote’s Mechanical. We are highly experienced with these kinds of units and can provide expert advice, service, and repairs on units by all the top brands. We’ll get your unit back into working order quickly so you can rest easy once again. Ductless air conditioner installation & replacement is a big job. Although the ductwork is not as large or invasive as it is with a traditional unit, there is still piping that must be installed from the main unit to the in-room unit or units. Therefore, it is vital that you choose an experienced professional for this job. Cote’s Mechanical has worked with home and business owners in the North Texas area for over 10 years, working with mini split units as well as traditional A/C units. More than likely we’ve installed a unit for one of your friends, neighbors, or co-workers. We’d love to show you personally why we are the best in the business for ductless A/C services. Does the home or property have ductwork already? Are you upgrading an older system? How much space needs to be cooled? Do you run the A/C all the time or just occasionally? Are you looking for increased energy efficiency? By answering these questions ahead of time, you can be ready to discuss the choice of A/C style with one of our experts before installation. If you’re thinking about a ductless A/C unit or you’d just like to ask a few questions, don’t hesitate to contact us at Cote’s Mechanical. We’re happy to help!